The Vienna Community Band exemplifies an American musical tradition. In years past, many small towns boasted of their own bands, which were composed of local citizens. Sunday band concerts were a regular event in the town scene. These free public concerts introduced the latest musical compositions of European and American origin to the town. In addition, each concert performance included music to delight ears of all ages. 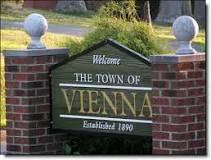 The Vienna Community Band is proud to continue the fine musical tradition of public music in America. The Band provides free concerts throughout the year in the Town of Vienna, Virginia, and its environs. The Band was formed in 1975 under the auspices of the Parks and Recreation Department of the Town of Vienna to assist in the celebration of the U. S. Bicentennial. The group now numbers about seventy volunteer musicians, and is directed by Adam K.Hilkert. 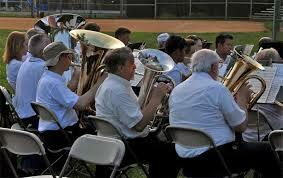 Band members, who dwell in Vienna and the surrounding communities, have diverse musical and professional backgrounds. They are drawn together by a love of musical performance. 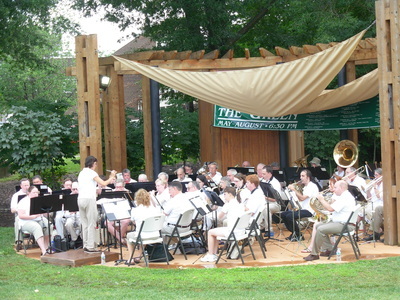 The Band offers a series of free public concerts throughout the year, and participates in holiday celebrations, memorials, and official events of the Town of Vienna. The repertoire includes concert band music, military marches, operatic and orchestral transcriptions, Broadway melodies, jazz, Dixieland, popular and rock tunes, and many kinds of novelty music.